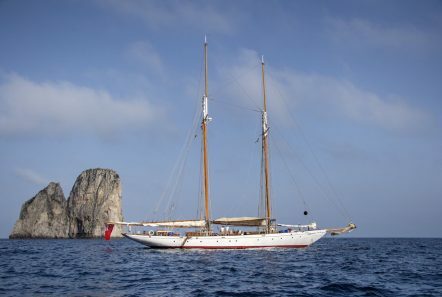 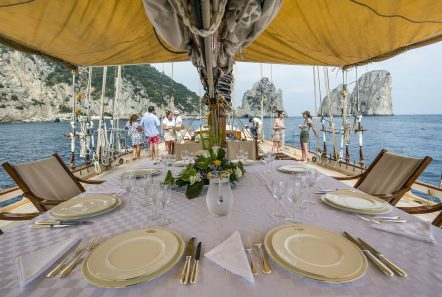 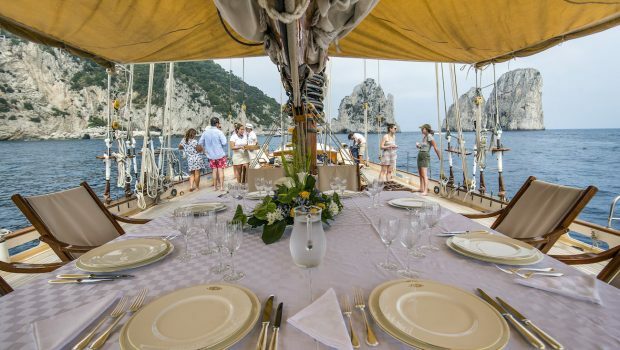 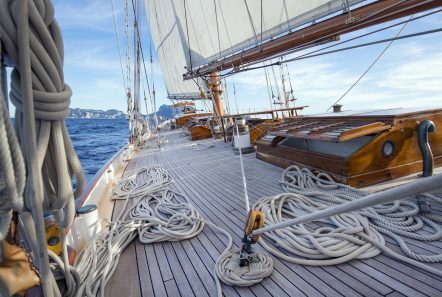 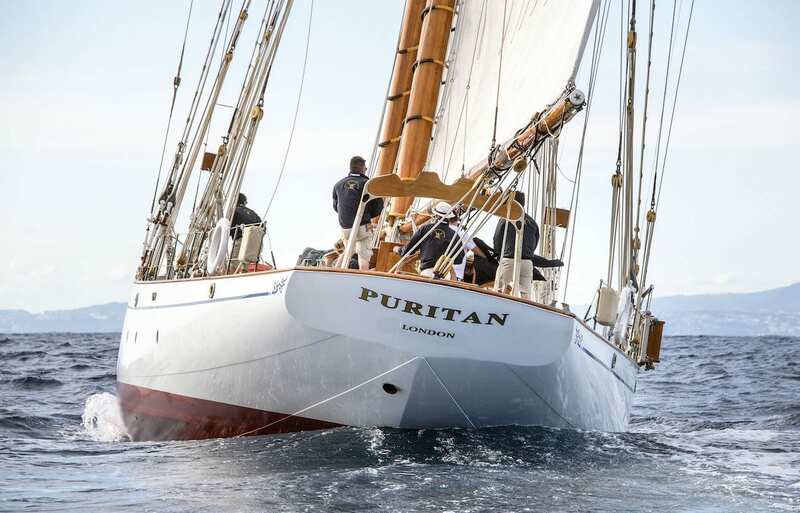 One of the great yachts of all time and for the first time after twenty five years is again available for your charter. 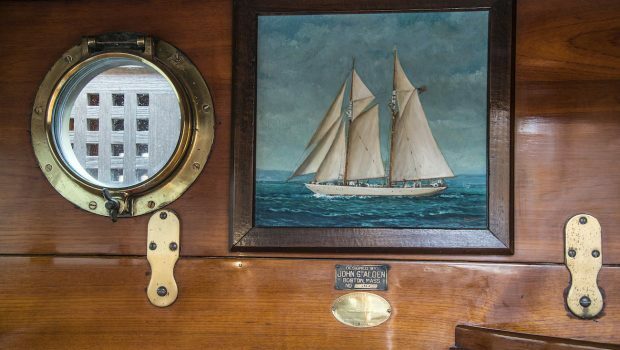 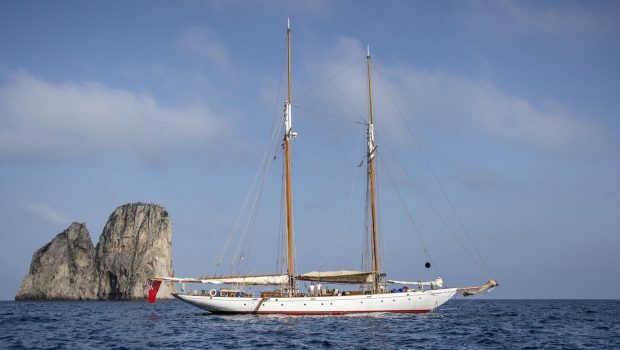 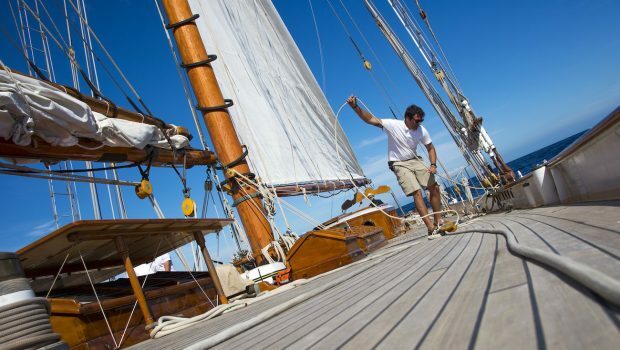 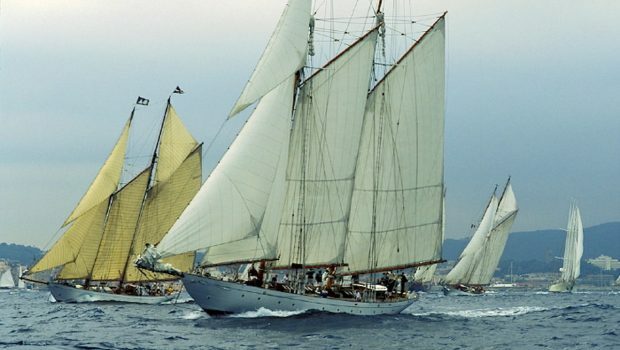 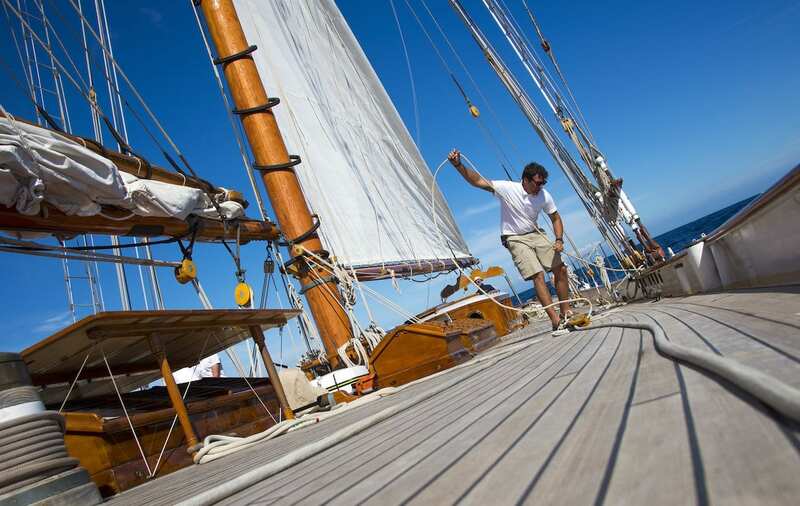 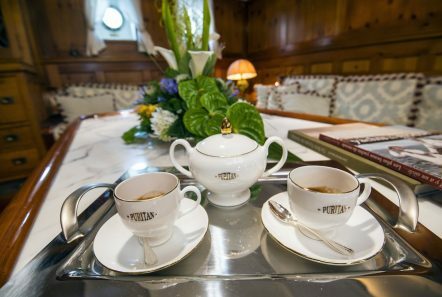 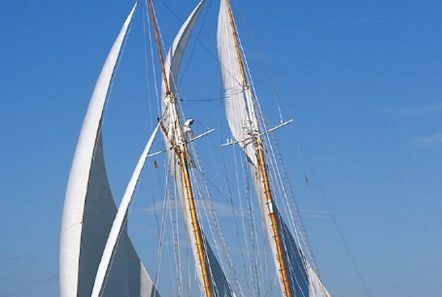 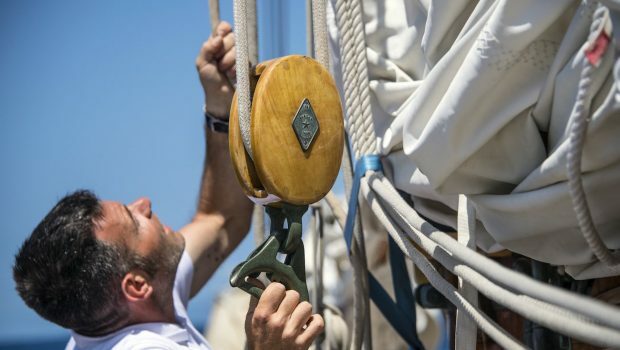 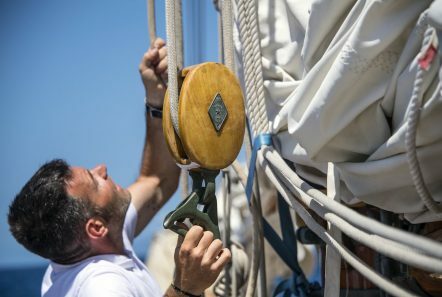 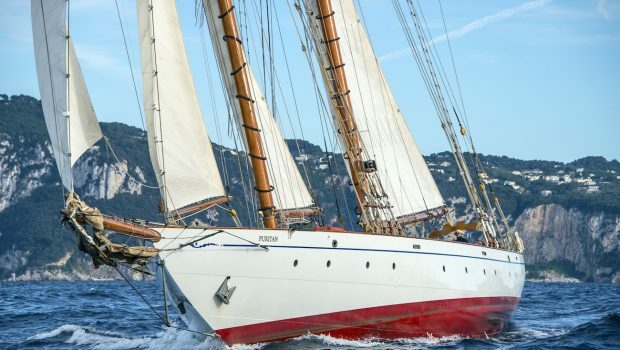 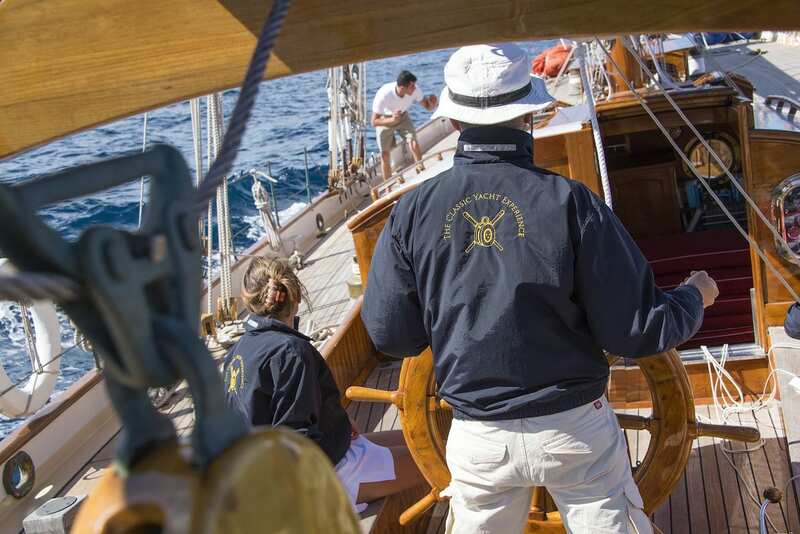 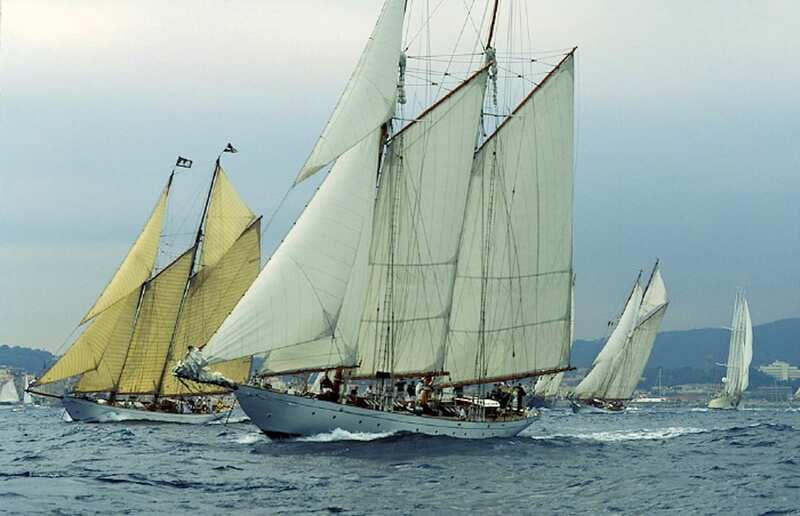 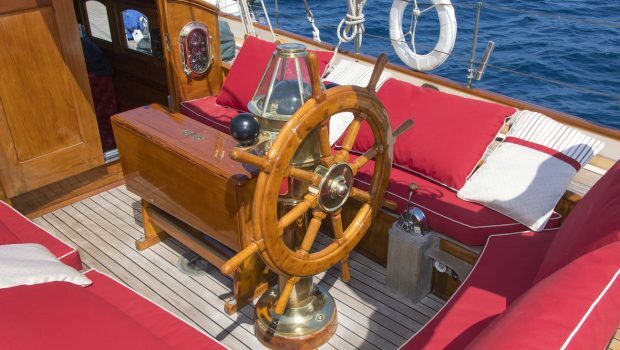 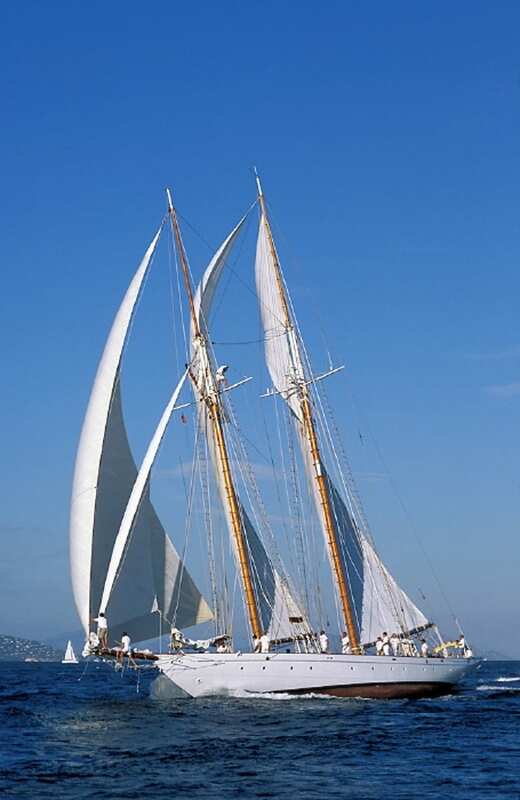 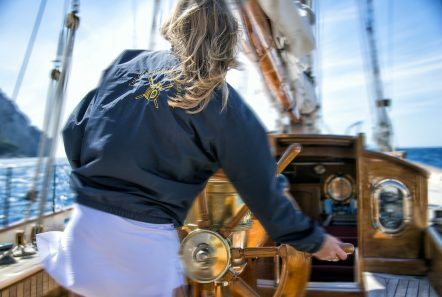 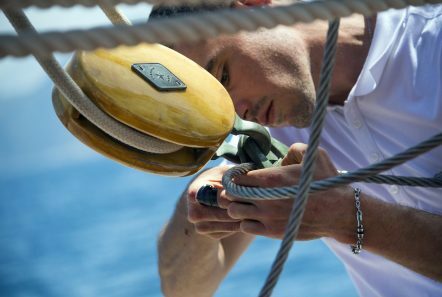 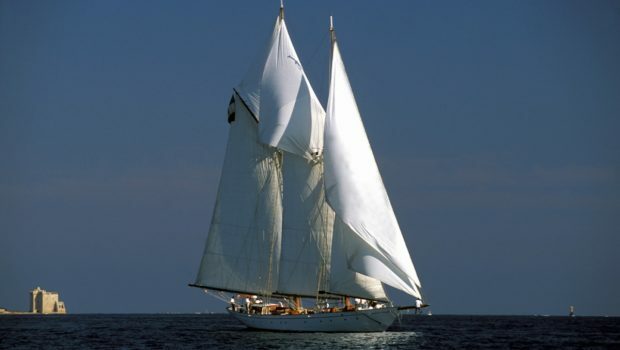 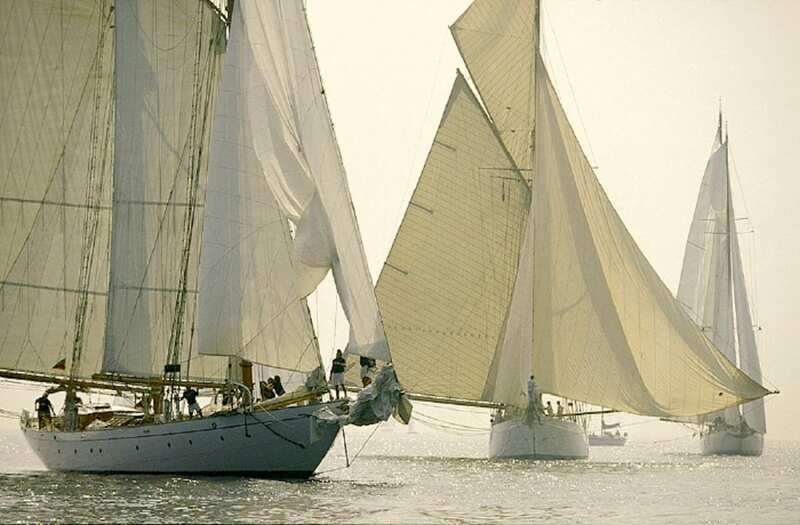 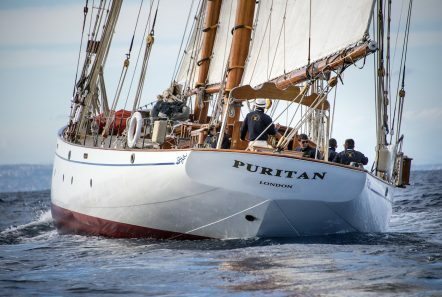 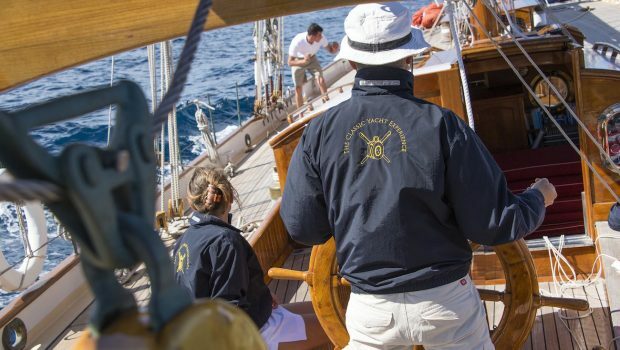 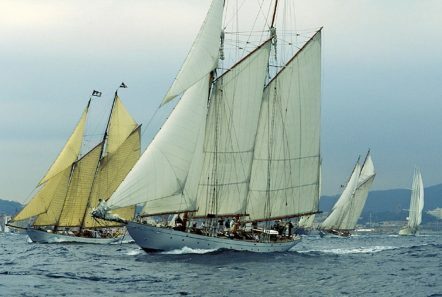 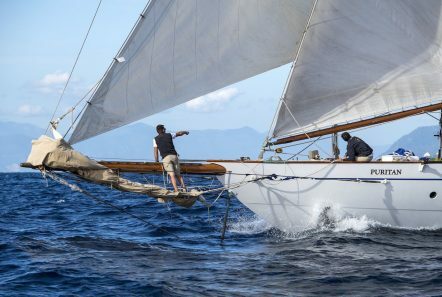 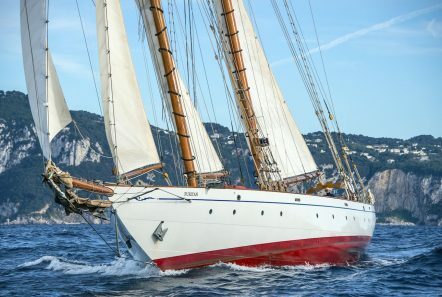 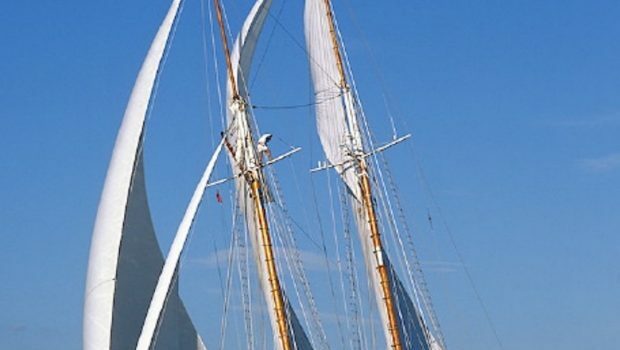 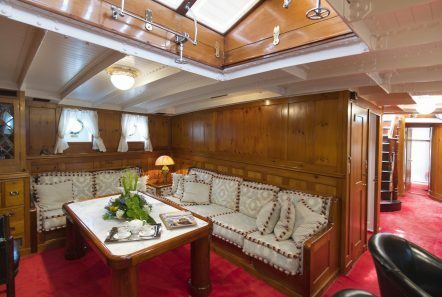 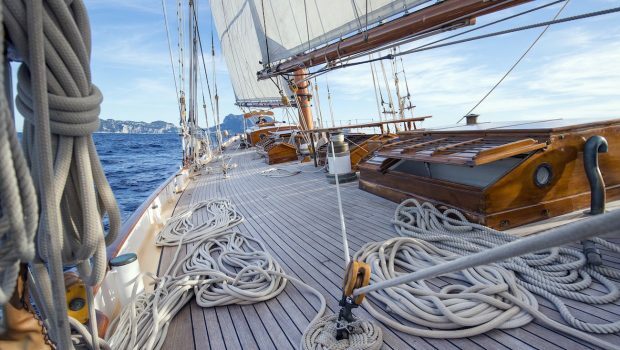 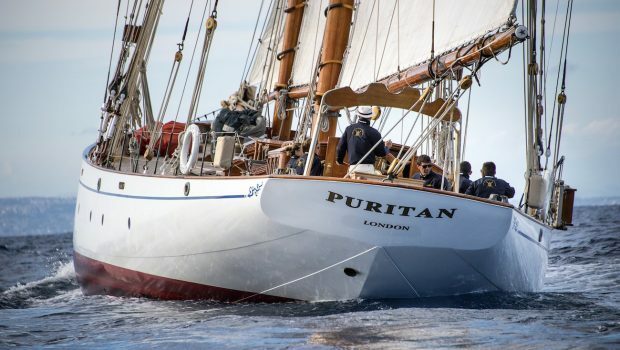 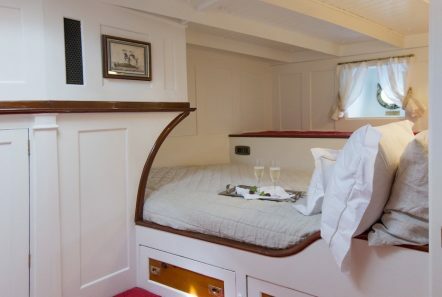 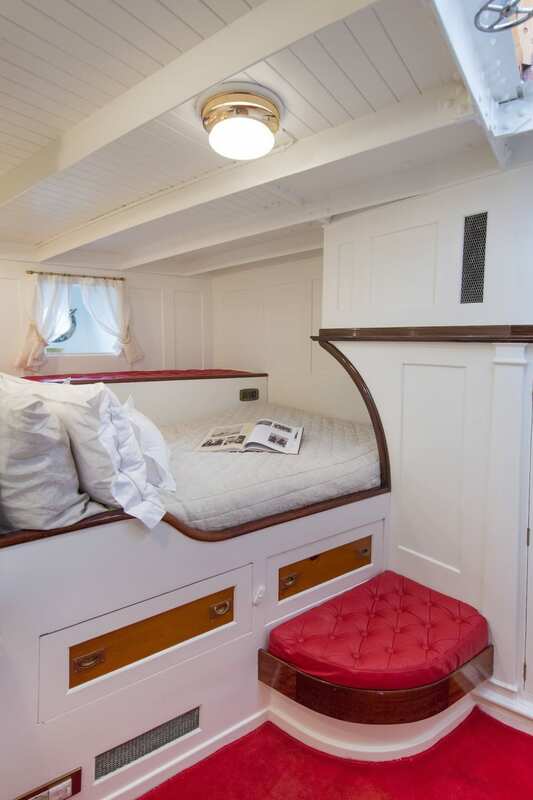 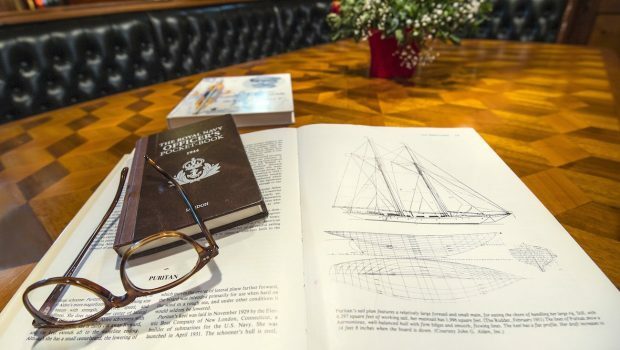 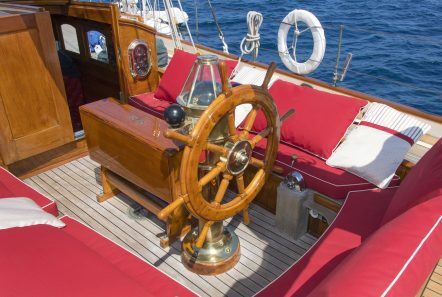 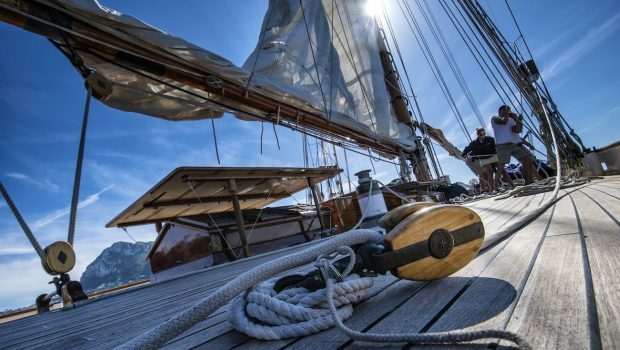 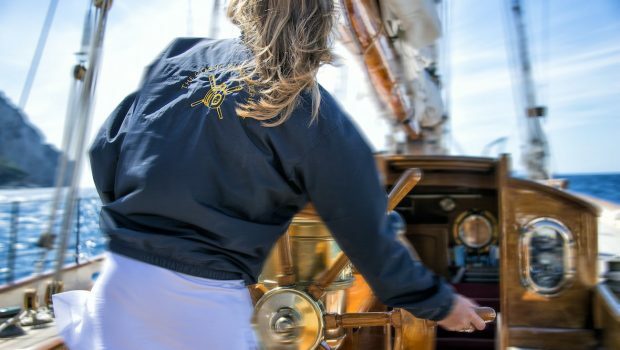 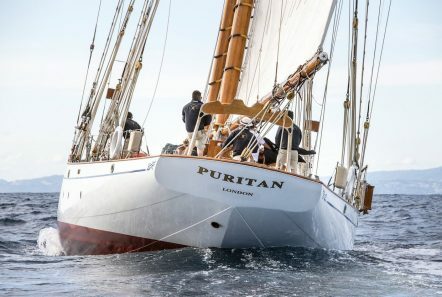 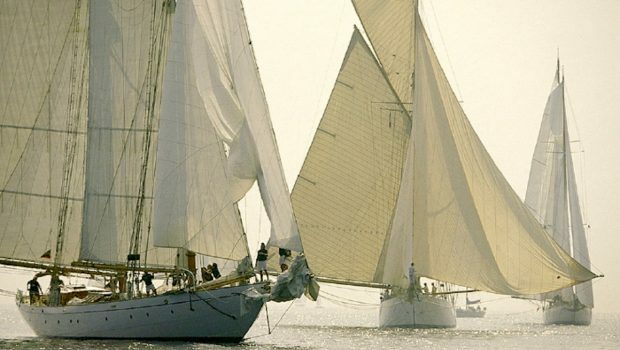 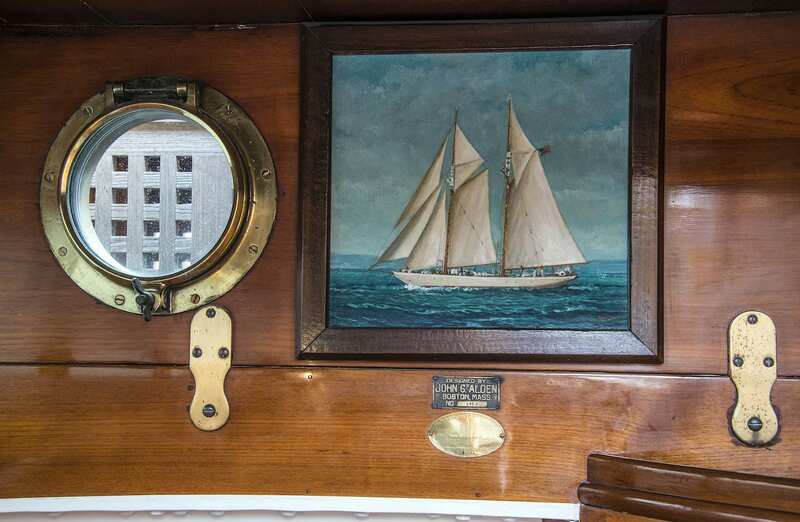 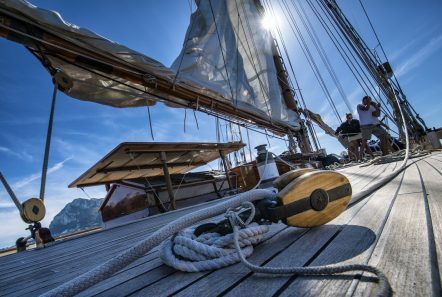 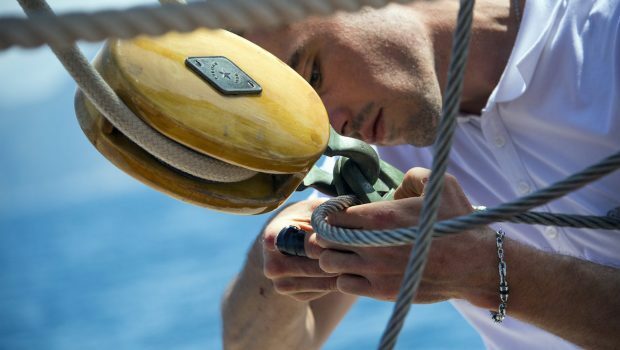 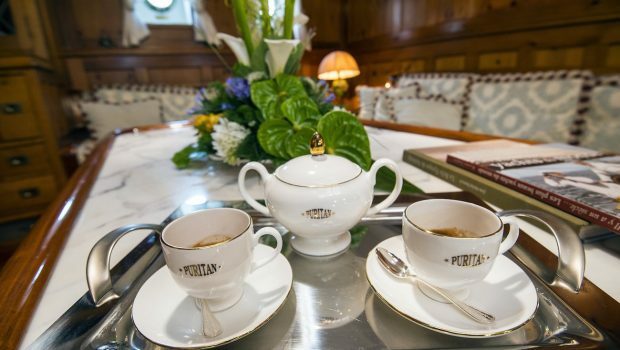 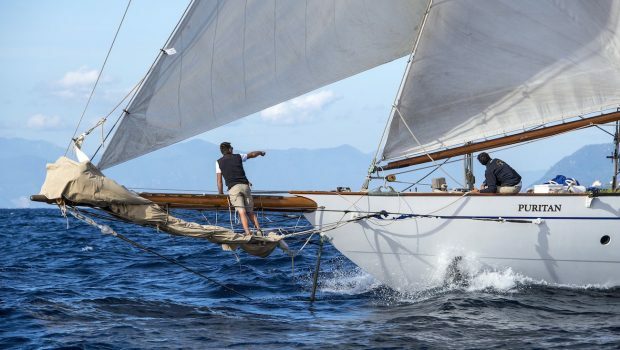 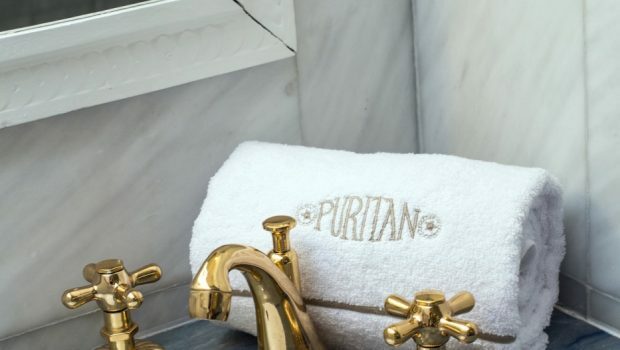 Puritan is one of the most original and carefully restored great sailing yachts of the past. 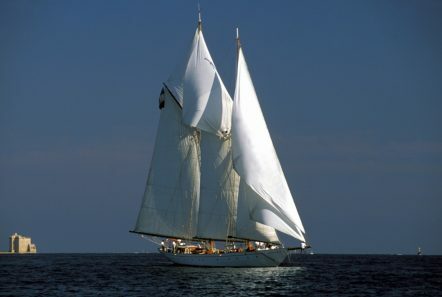 A gaff schooner, she is also a true blue water cruiser thanks to her extremely strong and reliable construction, and her original design, a testament to John Alden’s genius. 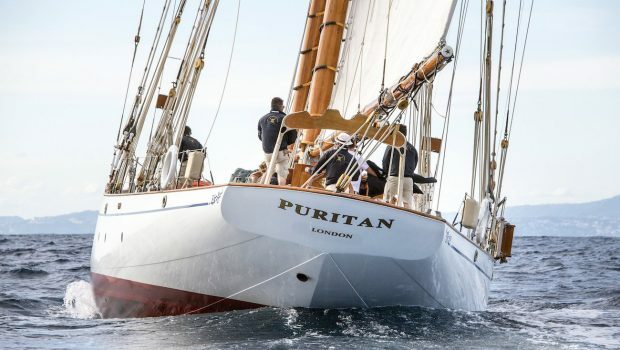 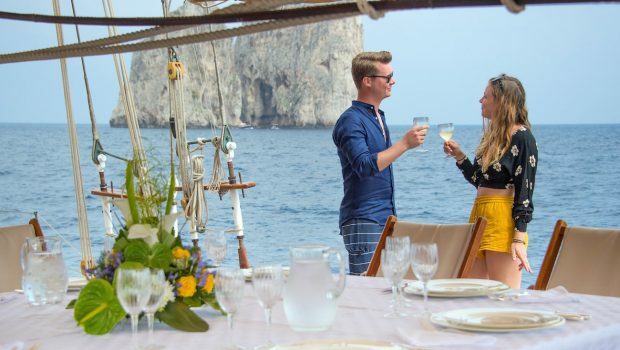 Her shape and her look fulfill and gratify any classic yacht lover’s desire of beauty and harmony and John Alden’s powerful lines are a statement of seaworthiness. 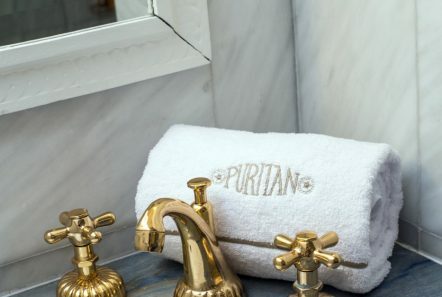 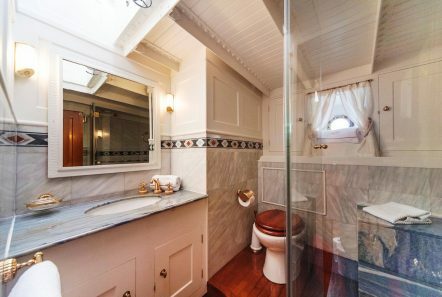 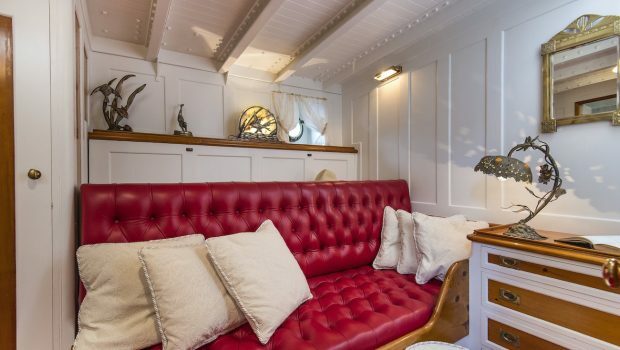 The elegance and charm of her interior and the warm atmosphere enhanced by the light Oregon pine finish makes any guest feel at ease and welcome, uncluttered by unnecessary additions or frills. 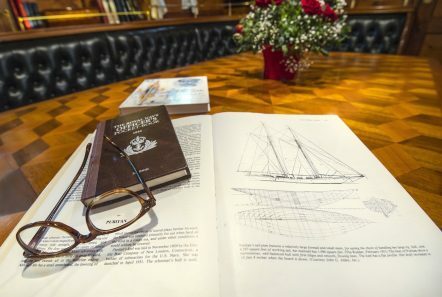 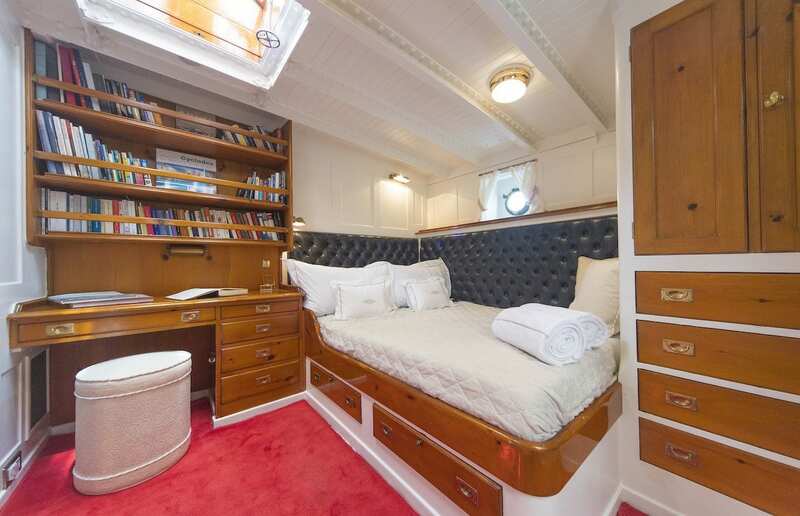 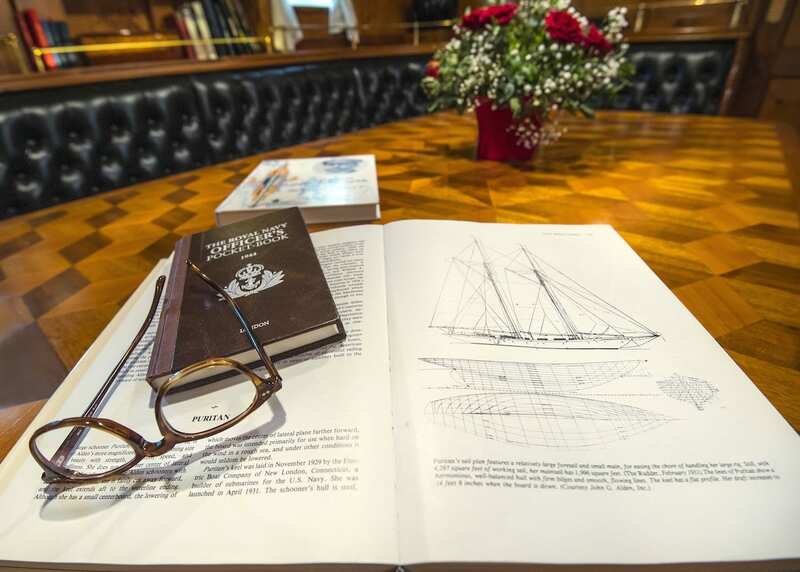 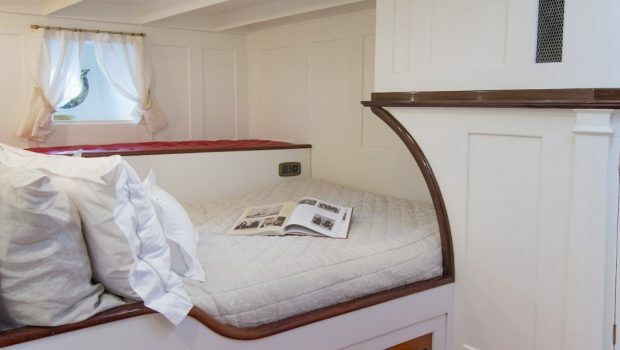 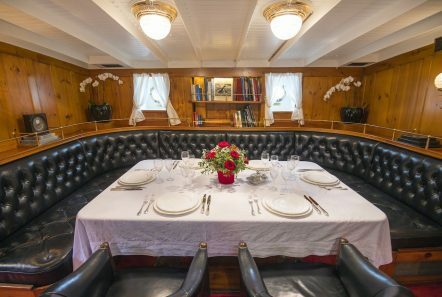 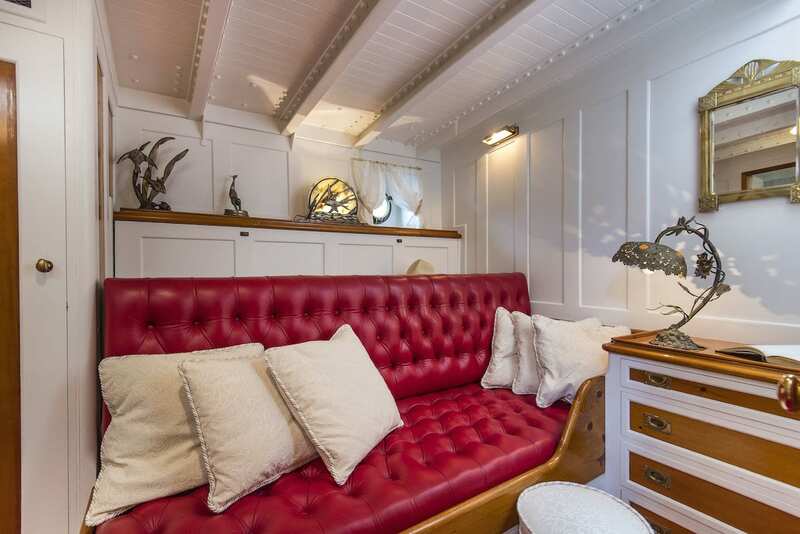 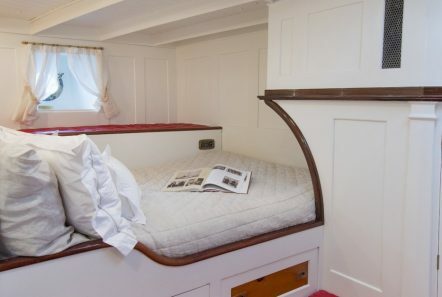 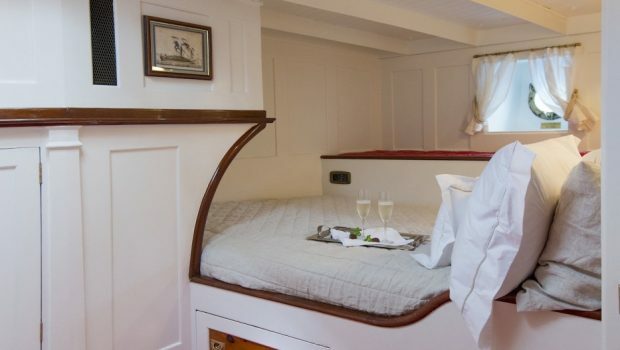 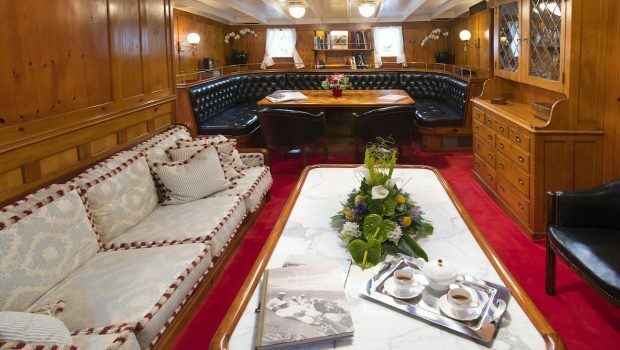 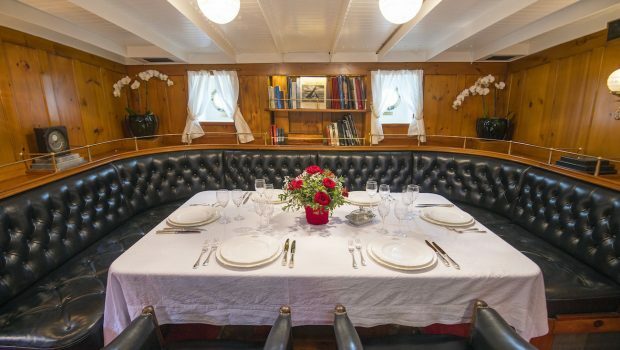 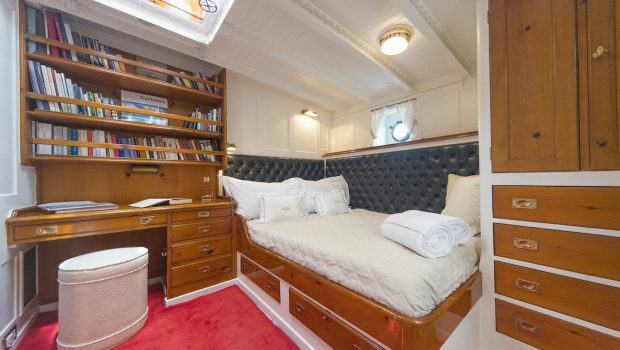 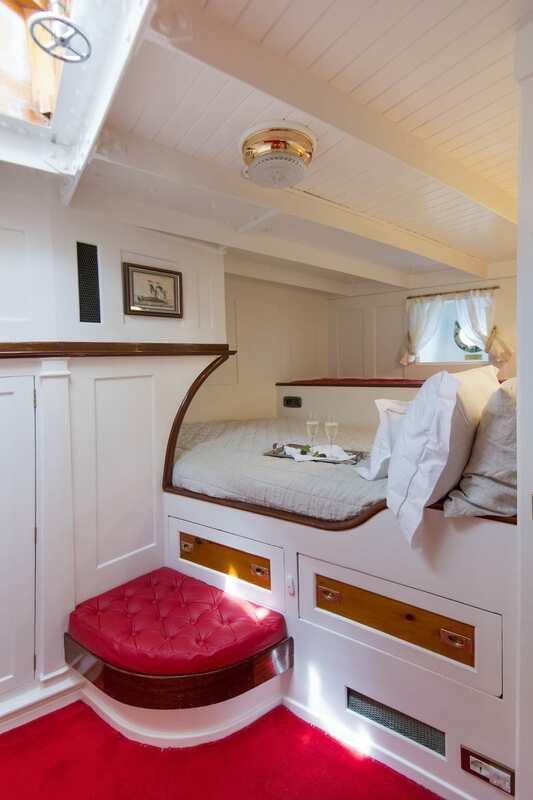 A wonderful deckhouse hosts a superb navigation room with access to charts and electronics in a great comfort. 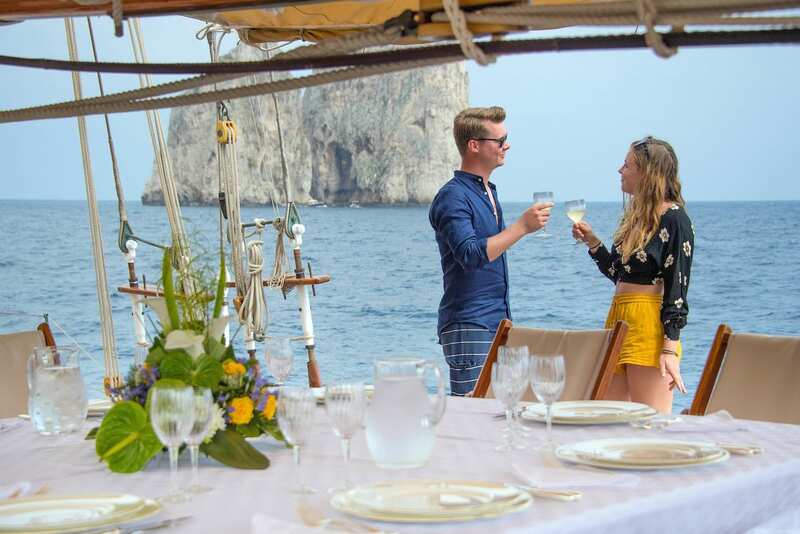 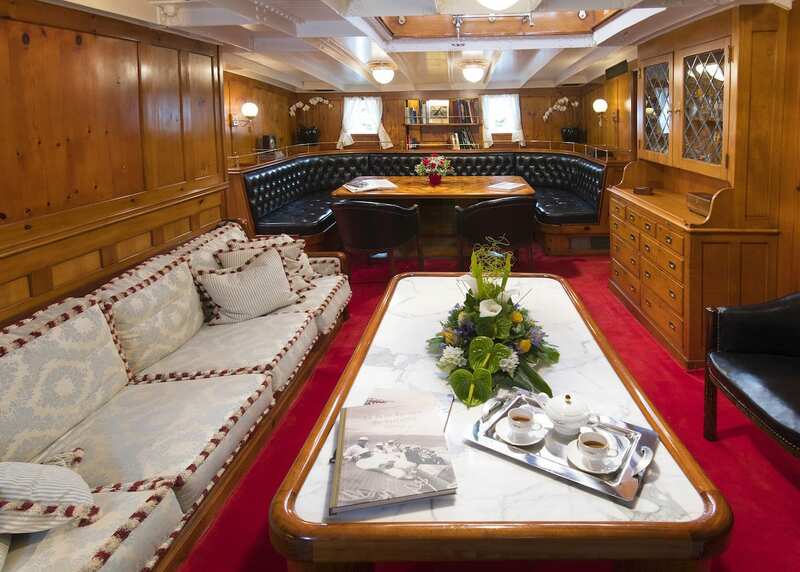 The deck features a large dining table for eight guests and a flat TV with Wi-Fi Music Systems control. 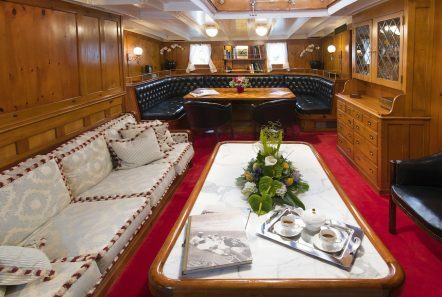 The main salon features another dining table for ten guests, and DVD Home theater system. 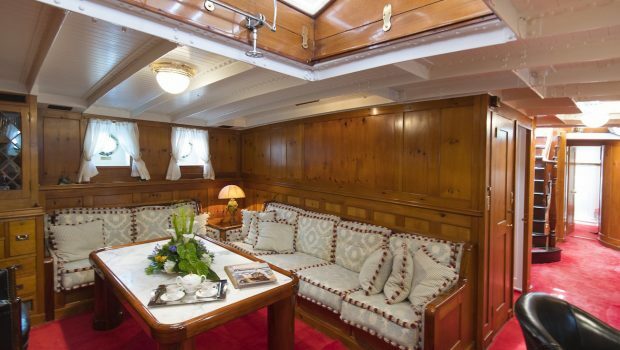 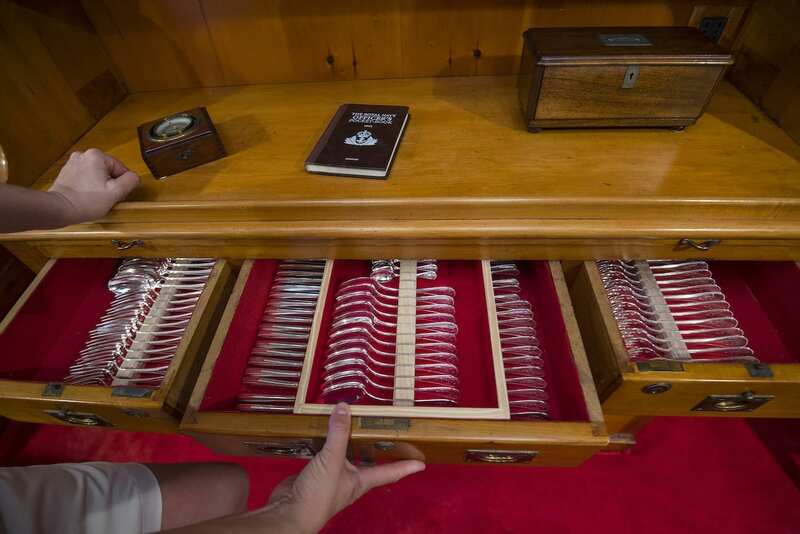 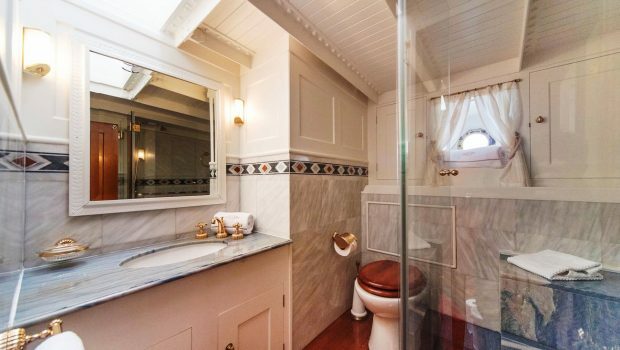 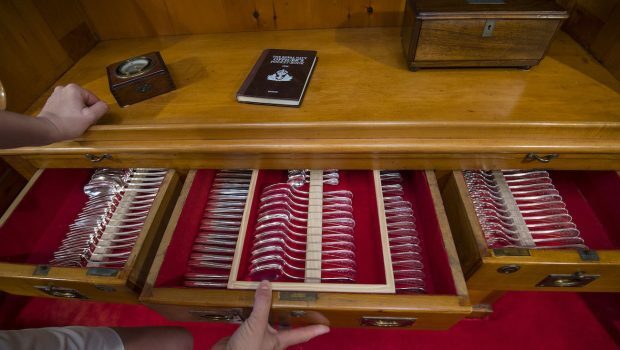 All the furniture and paneling is original or restored Oregon Pine wood. OWNER CABIN · King size bed · 1 x Closet with 6 drawers, 4 shelves · 1 x Desk with bookshelves and 5 drawers · Personal safe box · 2 Mtrs tall wardrobe · Flat TV set · 1 x Bathroom with large shower/bath. 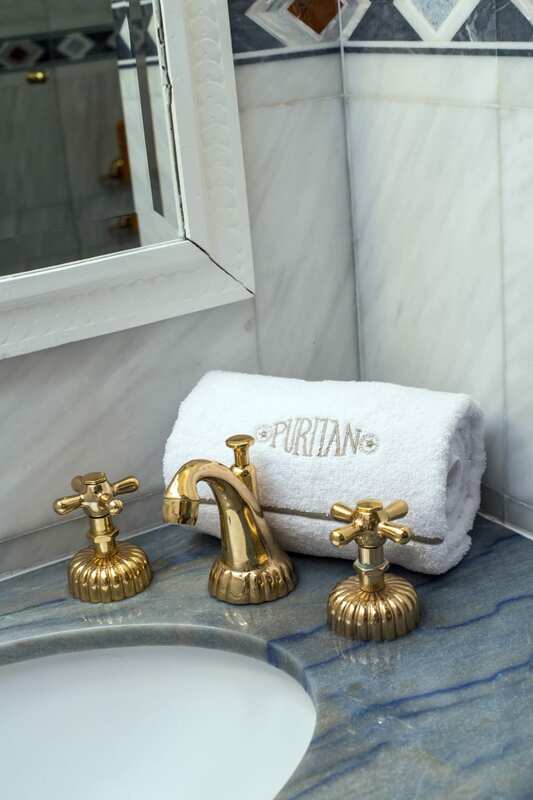 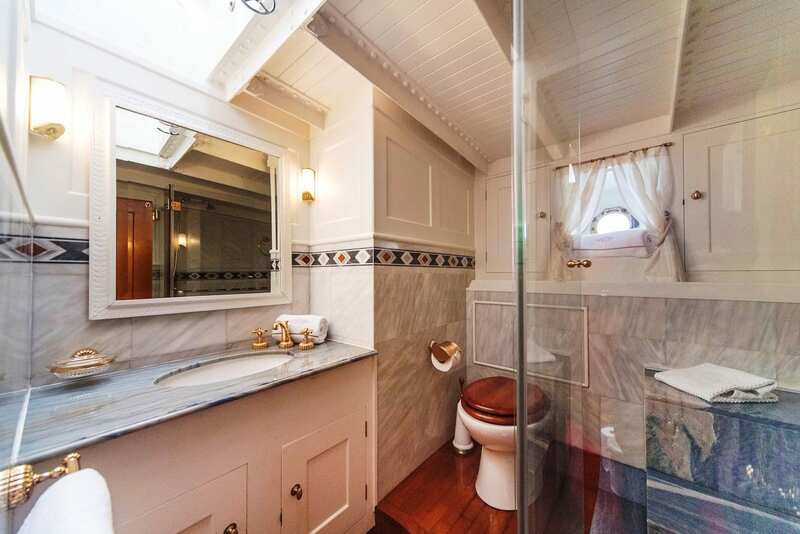 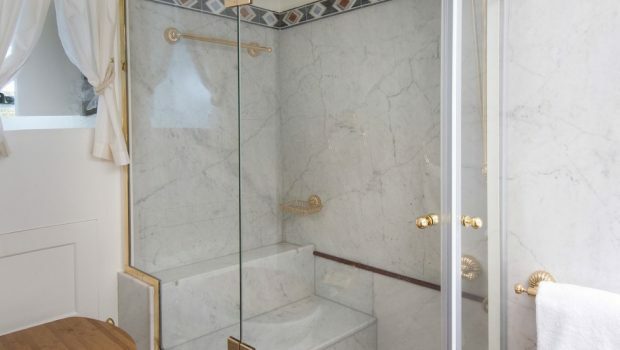 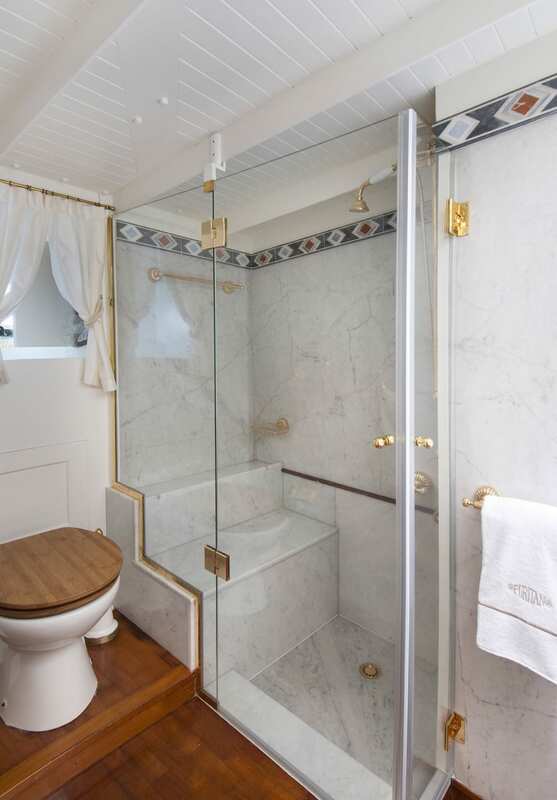 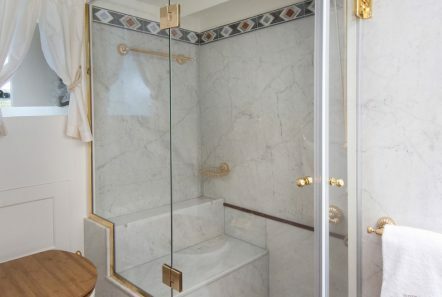 Original marble covered walls with elegant antique details. 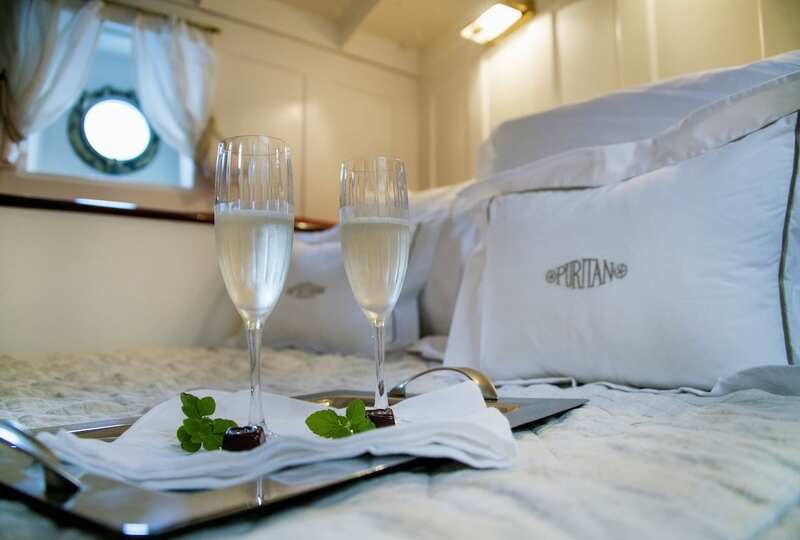 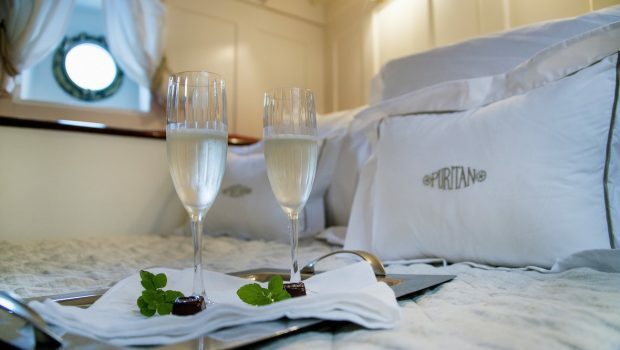 GUEST CABINS (x3) · two VIP staterooms with queen bed + one studio with a sofa which is convertible to a queen size bed. Air Conditioning is available throughout the yacht and with separate controls for each cabin.